All kids deserve a chance to celebrate their superpowers! 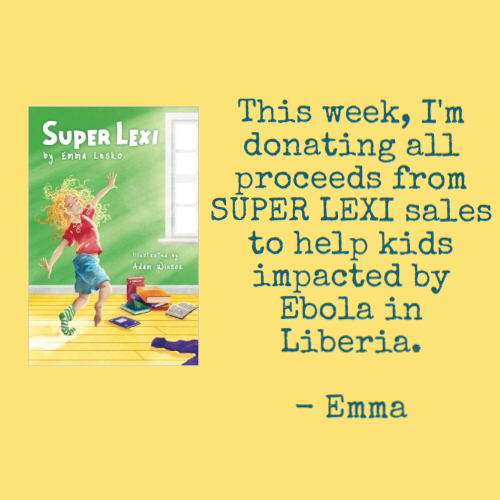 Purchase SUPER LEXI before 9/9/14 here. 100% of the profits will go directly to kids who have been impacted by Ebola in Liberia. Read more about Kids for Peace, the organization I’m donating through, here. This entry was posted in Uncategorized and tagged chapter book, Ebola, Kids for Peace, Liberia, Super Lexi on September 4, 2014 by admin.